Municipal sewage systems are an integral part of what makes for a healthy community as well as for well drained city streets. But waste water management, of necessity, requires the occasional sewer inspection or repair job, and manholes are the only near-at-hand point of entry. Thus, when manholes themselves become contaminated with spilled chemicals, oil and grease deposits, sand, gravel, garbage, and slimy films, the tasks of sewer repair personnel become extremely difficult or even impossible. To restore city manholes to reasonable levels of cleanliness and good working order, it will be necessary to contact a company with high-velocity cleaning equipment and professional debris-removing vacuum pumps. What Is Hydrovac Manhole Cleaning? Hydrovac cleaning is composed of two stages, which correspond to the two elements of the word “hydrovac” itself. High-velocity water (hydro) is shot out at a rate of four liters per second or faster through specially designed nozzles that excel at scouring off gunk, dirt, and grease. A powerful wet vacuum (vac) then proceeds to pull out the water-loosened particles and transport them to a large, temporary holding tank. Without an initial clean-out, sewer maintenance and restoration projects would not be feasible, and the hydrovac method is the preferred way to fully and efficiently clean a dirty or contaminated manhole. Hydrovacing can remove almost any type of material, even if it is clinging stubbornly to the lid or inner walls. Water eliminates static electricity, thus freeing workers from the risk of static discharges, which can potentially cause an ignition. Hydrovac guns accomplish extremely thorough and precise results. Toxic spills pose little danger when cleanup up via hydrovac but are a major health hazard otherwise. Hydrovac cleaning can usually be completed in half the time it takes to clean manholes by other methods. Hydrovacing avoids cramping clean-up workers in tight, limited-access environments. The use of warm water makes it possible to clean up manholes during even when debris is frozen onto metal surfaces during the winter season. 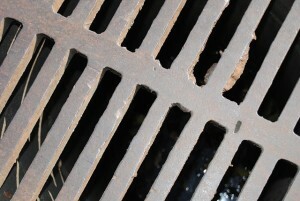 Why Choose Us To Clean Your Manholes? All material is removed, stored, and then disposed of in strict accordance with all environmental regulations. GPS-guided response trucks and an on-the-ready clean-up team make for exceptionally fast job completion. 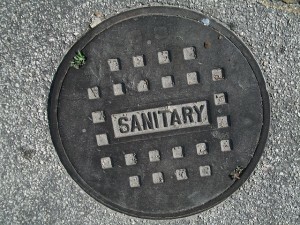 Competitive, cost-effective rates make manhole cleaning affordable. Over 10 years of experience with a wide variety of clients, including large cities, small towns, and private developers, gives you confidence in their capabilities. The crew is always careful not to damage any of your property during the cleaning process and to maintain the highest standards of safety. Hydrovac Edmonton’s services extend throughout the entire province of Alberta. The most cost-effective, safe, and environmentally friendly way to clean a manhole is by hydrovacing. Hydrovac Edmonton is a top-tier hydro-vac service provider with extensive experience in manhole cleaning and stands ready to render its services in any part of Alberta on short notice.